Camberwell High School is committed to developing a strong partnership with the families of our students. We promote this partnership through keeping parents informed about school programs and events, showcasing student work and through parent meetings, seminars and discussion sessions. There are a range of ways in which parents can be involved. The School Council is a major governing body providing planning, funds and developments within the school. 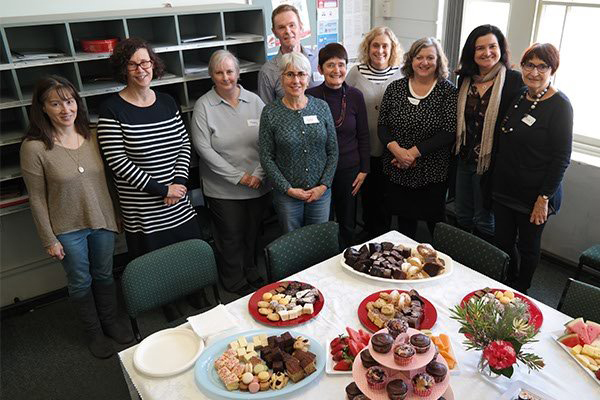 At Camberwell High School, the School Council puts student learning and wellbeing at the heart of its work. The Council is comprised of parents, community members and Department of Education and Training (DET) members. The aim of the School Council is to enhance educational opportunities for all Camberwell High School students. They develop, review and update school policies, approve the budget and monitor expenditure, and raise funds for school-related purposes. The School Council has raised funds for such developments as the Enterprise Centre and the Soccer Field. It works to establish a vision and direction for the school and recommend changes necessary to bring this about. The constituting order of Camberwell High School confirms the composition of Council. The School Council comprises eight elected parents, four DET employees other than the Principal, the Principal, one co-opted student member of SRC, one co-opted representative of the wider community in which the school operates. Council meets 8 times a year and holds the Annual Reporting Meeting, in late March to report on its activities. Sub-committees of the Council are Policy and Planning, and Finance. Sub-committees are formed to advise Council and have no decision-making powers. Parent members of School Council welcome input from our School Community. Parents wishing to communicate with School Council can do so by contacting the School by email at  camberwell.hs@edumail.vic.gov.au and the email will be directed to the convenor of the relevant sub-committee. It’s hard to escape PFA hospitality and involvement, this is a great way to meet people and support your child’s school experience through your family’s active involvement in building an engaged school community. Being part of PFA is easy – parents from every year level offer their time, expertise and enthusiasm. Whether you’re great at cooking a sausage, can bake, are keen to volunteer to serve and run staff events, social events, the book sale, can do administrative tasks, or even if you’re keen just to come along and get to know other parents –we’d love you to get involved!